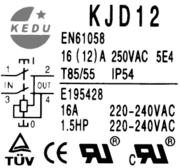 Due to the zero voltage release, the switch triggers on voltage drop ( power failure ) and has to be switched back on manually. Therefore it won't switch on spontaneously and uncontrollably. 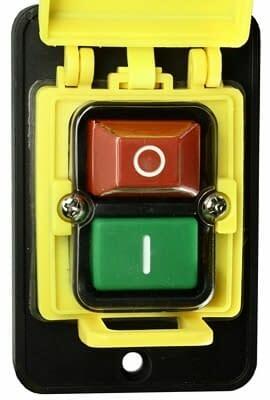 The keypad is covered by a lid with a lock . 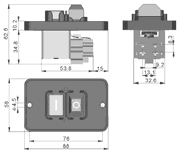 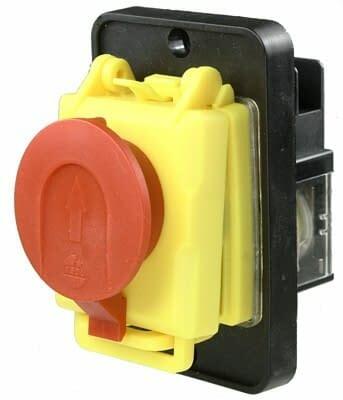 There are Various KJD22 from Jiangsu Jinfeida Power Tools Co., Ltd.
this switch is suitable as a Replacement for KJD22 with 2 N/O contacts. 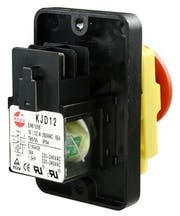 Can not be used as a replacement for KJD22 with 2 N/O contacts and a N/C contact. 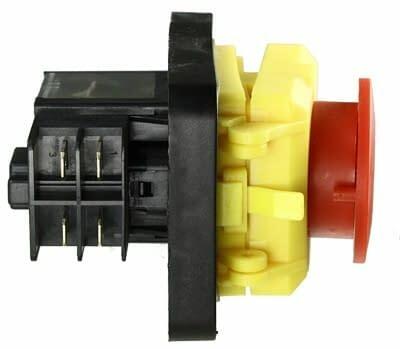 The switch may be suitable as a replacement for KJD3-5 from MFD, which are used in some drilling machines. 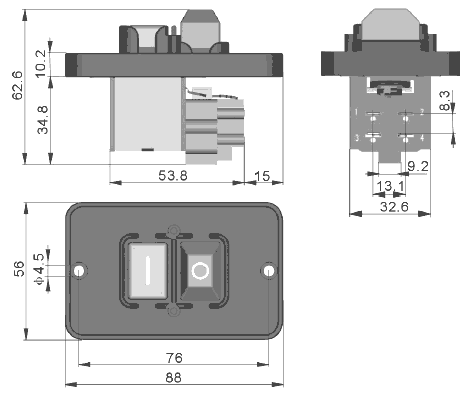 Please note the dimensions and the connection. 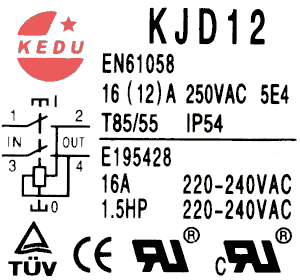 The KJD3-5 has a 4,8 mm flat plug, the KJD12 6.3 mm flat plug.